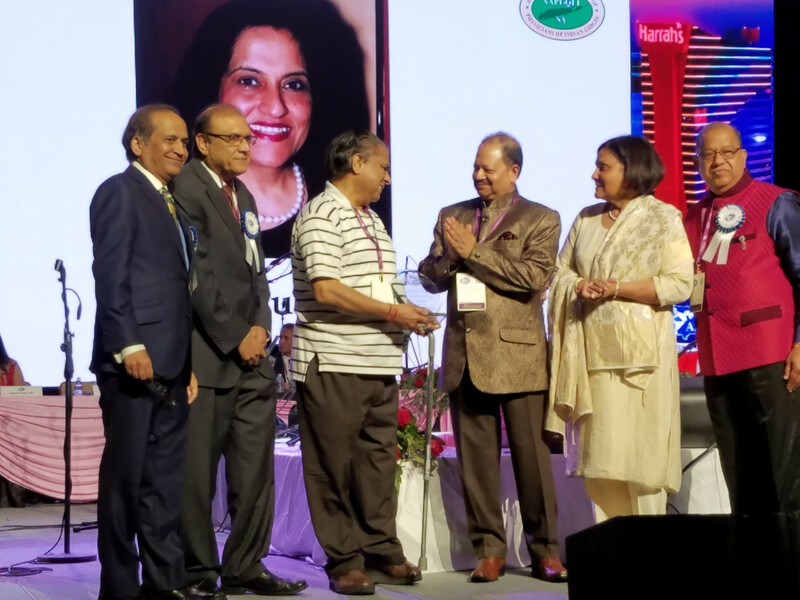 Hundreds of physicians from around the United States and around the world gathered in Atlantic City June 21 to kick-start the 35th Annual Convention of the American Association of Physicians of Indian Origin, AAPI. 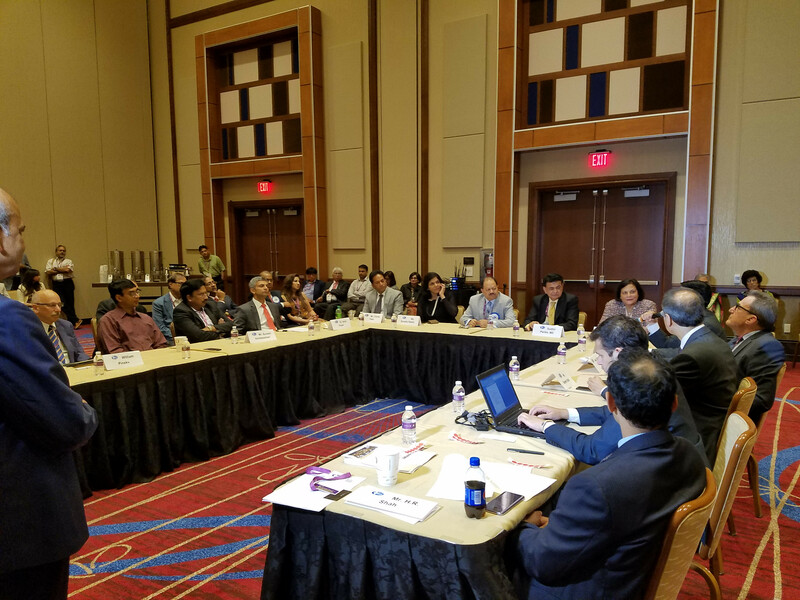 A CEO Forum was the highlight with panelists from around the world according to a press release from AAPI. “Delivery and access of healthcare in the United States and around the world is rapidly changing, leading to many describing the healthcare environment as dynamic, complex, and highly uncertain,” said Dr. Ajay Lodha, president of AAPI, in his welcome address at the CEOs Forum Lodha reminded the panelists of how healthcare impacts everyone and economics play a crucial role; that engaging leaders of healthcare, business, academia and community is an essential component for any debate, discussion or development of a robust healthcare system. Anwar Feroz, honorary advisor of AAPI, moderated the CEOs Forum, consisting of a very diverse group of leaders representing a broad segment of society. 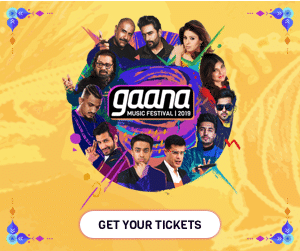 Feroz said the Forum was aimed at discussing ideas and putting together a white paper to be presented to the Department of Health and Human Services and the lawmakers in Washington, DC as they are in the midst of drafting a Healthcare Bill, replacing Obama Care. The CEO Forum focused on the changing trends in the healthcare sector and how they impact the providers, hospitals, pharmaceutical, medical devices, technology and corporations as well as the patients. The Forum offered insights into managing efficiently the growing costs in the delivery of healthcare services. Panelists who provided their insightful thoughts on the issues included, , Joint Managing Director Apollo Hospital Group Sangita Reddy; Dr. Arthur Klein, president & CEO Mt.Sinai Health Network; Dr. William W. Pinsky, , president and CEO, Educational Commission for Foreign Medical Graduates (ECFMG); Dr. Humayun Chaudhry, president and CEO, Federation of State Medical Boards; Dr. Sudhir Parikh, publisher of News India Times and recipient of the Padma Shri Award; Chintu Patel, founder, chairman and CEO, Amneal Pharmaceuticals; Robert Levine, executive vice president & COO, Flushing Hospital, New York; Suresh Venkatachari, chairman and CEO of 8K Miles Software Services Inc. and publisher of India Abroad; Amit ”Al” Limaye Logistic Solutions, Inc (LSI); Dr. Amit Powar, CEO of Reading Health Physician Network (RHPN); Saleem Iqbal, CEO, president and director, Habib-American Bank; Neal Simon, president, American University of Antigua; Manjul Bhargava, R. Brandon Fradd Professor of Mathematics at Princeton University, Dr. Madhu Aggarwal, chair, Board of Trustees of AAPI; and Dr. Lodha. The panelists also discussed AAPI’s views on healthcare policy even as the new administration is determined to abolish “Obamacare”. As leaders in healthcare delivery, the panelists were asked to offer their perspectives on what a robust health plan must have to enable business to deliver quality and affordable health care. Panelists shared their views on individual ownership and responsibility for wellness and prevention vs. entitlement and Government role in healthcare. Other recommendations that came out of the panel included the need for portability of insurance across state lines and of the need to increase the number of medical schools and Residency slots that will meet the growing needs of millions of patients around the world. 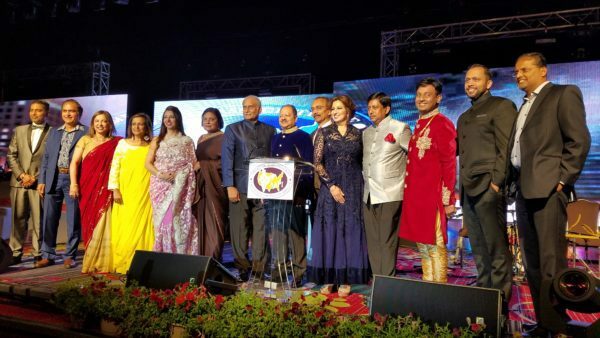 Later on, nearly 1,000 guests attended the inaugural gala where the hard work of AAPI host chapter, AAPI QLI and members from several other chapters were recognized. 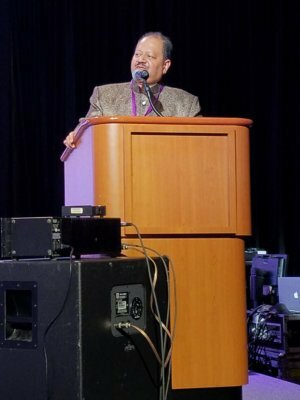 Dr. Raj Bhayani, convention chair, said there was a record turnout at this year’s convention. 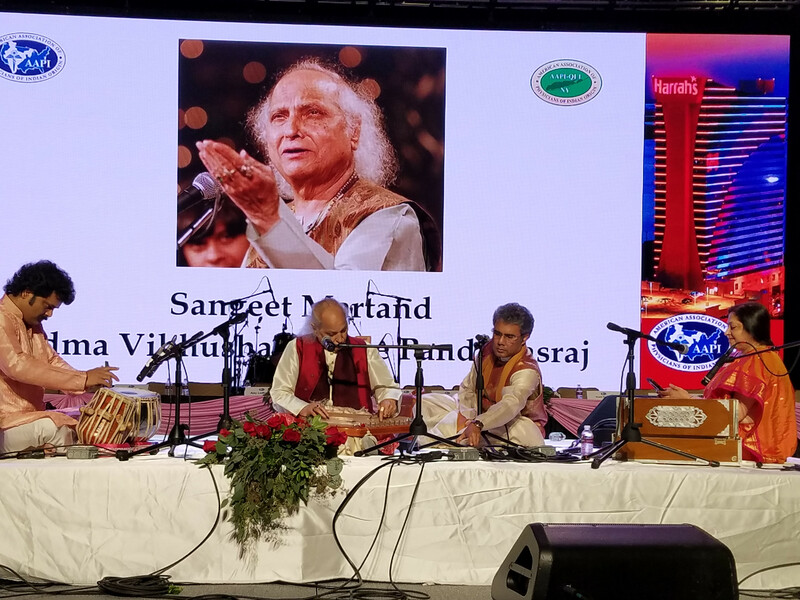 Pandit Jasraj entertained the attendees with his classical music, followed by a performance by noted singer Kailash Kher. Previous articleHindu American Foundation Holds 2nd Annual Advocacy Forum In D.C.